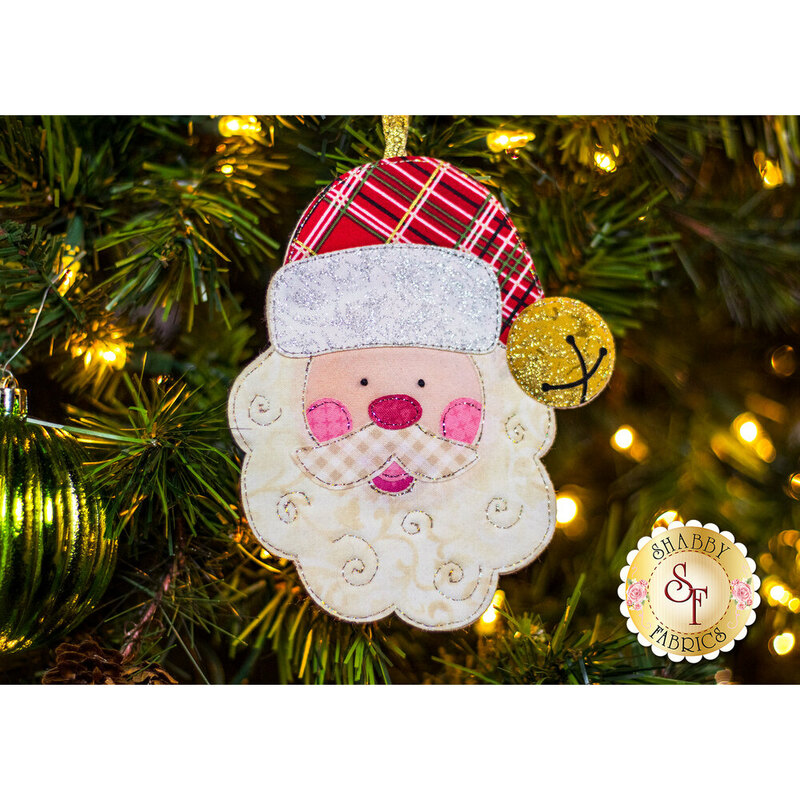 Decorate your tree with this jolly Santa ornament that's fun and easy to make. 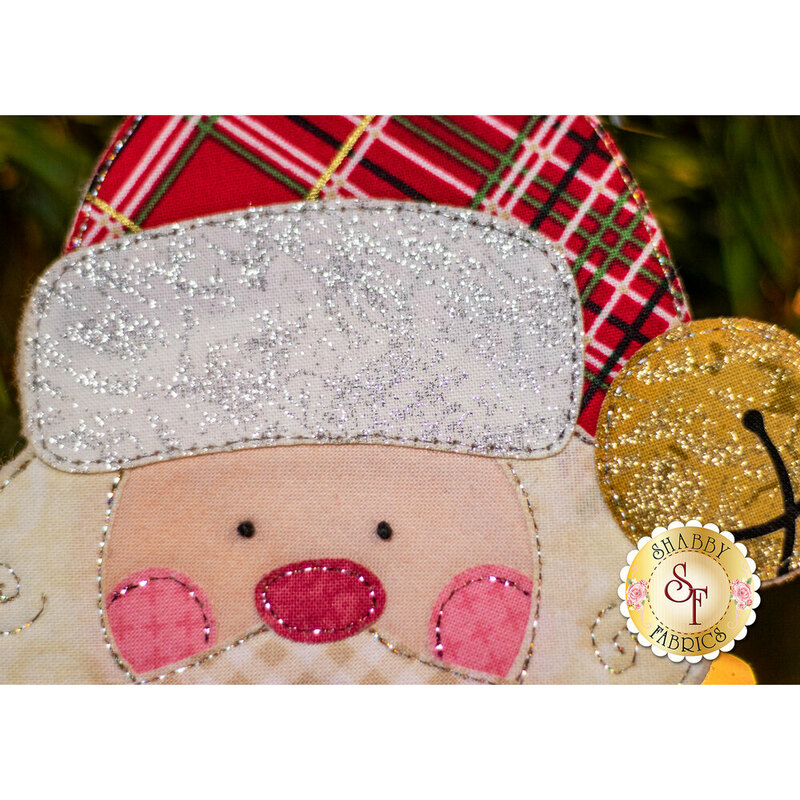 Just look at the rosy cheeks, full beard, and cute hat - you can almost hear the bell jingle! Handmade ornaments are a special traditional keepsake, and this one will quickly become a family favorite. Ornament measures approximately 5" x 6". 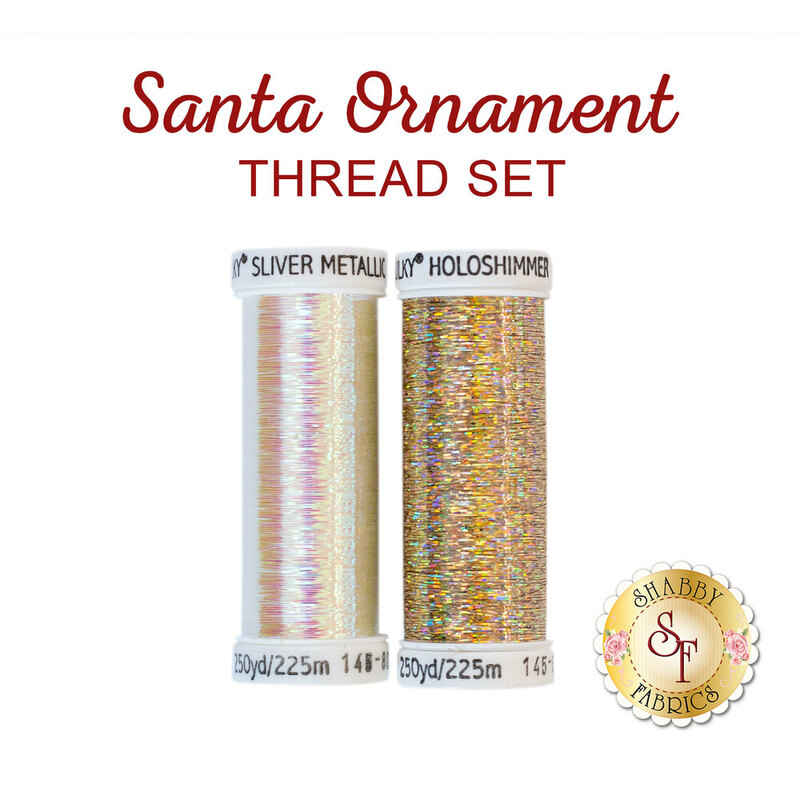 2pc Santa Ornament Thread Set - Carefully selected and color coordinated Sulky Metallic thread to stitch down your appliqué pieces.